IT TOOK the government seven long months to fill up a critical post, Minister (Economic) in Embassy of India, Washington DC, USA. Finally, 1989 batch Sikkim cadre IAS and joint secretary in Cabinet secretariat Govind Mohan was selected for the hot job, according to an ACC order dated June 14, 2012.
the government struggling to get good economic numbers took such a long time to fill up such a significant economic position in US even when 1984 batch Kerala cadre IAS VS Senthil’s tenure ended way back on November 9, 2011. Govind Mohan who had earlier worked in the ministry of finance first as director and then joint secretary moved to cabinet secretariat in January 2011, first for six months. Later, he got extensions. Mohan who had earlier handled the infrastructure desk including public private partnership in the ministry of finance is probably a good choice for the job but the government’s dilly-dallying on the matter is questionable. The DoPT advertised the post on August 4, 2011, but a letter dated March 22, 2012, it wrote to government of India’s secretaries and state chief secretaries asking them to nominate suitable officers for the post as “sufficient nominations were not received”. The officers in the past had lobbied very hard to get postings in Indian missions of US and UK and even in World Bank or IMF. So, why JS level officers did not apply this time round? Were the criteria too tough to fulfill? The DoPT did not however spell out the actual number of applicants which it said is “not sufficient”. 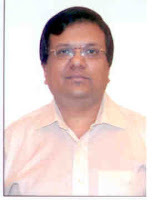 a) Pramod Kumar Das, a 1986 batch MP cadre IAS, has been appointed as joint secretary (training), in the department of personnel and training (DoPT) in place of Ms Upma Srivastava, a 1988 batch Sikkim cadre IAS who was earlier appointed as CVO in Airports Authority of India. b) Sriram Taranikanti, a 1992 batch Manipur-Tripura cadre IAS, who is presently working as Financial Adviser (director level) in the Insurance Regulatory and Development Authority (IRDA) has been appointed as Executive Director, (joint secretary level) in IRDA in place of A Giridhar, a 1988 batch Andhra Pradesh cadre IAS who was appointed as joint secretary in the ministry of petroleum and natural gas.